There is a simple answer to the question of what Digestate is. Digestate is what remains after anaerobic digestion (biogas digestion) and it is comprised of the solid fibrous material fraction emanating from the AD bio-reactor, and the liquid portion. Anaerobic digestion draws carbon, hydrogen and oxygen from the feedstock. However, the essential plant nutrients (N, P, and K) remain largely in the digestate. This means that digestion is a quite remarkable process as it is accomplished without substantially reducing the potential fertilising properties of the feedstock material. It’s like being able to take a quart out of a pint pot! In effect by using AD we are extracting largely just the energy and leaving the quantity of plant nutrients largely unaffected. Digestate is produced both by acidogenesis and methanogenesis and each has different characteristics. The acidogenic stage digestate is largely unaltered during the subsequent methanogenic stage when the methane producing organisms are active. Acidogenic digestate is fibrous and comprises of structural plant material which includes lignin and cellulose. It is the acidogenic digestate that possess the high moisture retention properties which are much valued by farmers. The raw digestate usually also contains minerals, and the remains of the micro-organisms (mainly bacteria) which were active during the digestion process. Methanogenic digestate is a liquid or sludge (sometimes called a liquor). This would usually be high in nutrients such as ammonium and phosphates. The composition of the fertilizing agents in a digestate depends to a large extent on the feedstock, and can therefore vary substantially. However, the availability of nutrients is invariably higher in digestate than in untreated organic waste. Nutrients (N-P-K) are mineralized during digestion and that allows improved plant uptake than for untreated organic waste. For instance, digestate has 25% more accessible NH4-N (inorganic nitrogen) and a higher pH value than untreated liquid manure. Another advantage of the digestion stage is that it reduces the odour nuisance by about 80%. The use of digestate also benefits the humus balance in the soil. Thus it can be used as a fertilizer or a soil amendment in agriculture, landscaping, parks and if suitably free from plastic and glass, from PAS115 certified sources, even in gardens. Use of digesate as a fertiliser permits the creation of a highly sustainable nutrient cycle and maintains or improves soil structure due to the application of organic matter. Digestate is usually described as a soil conditioner. When applied to soils at an optimum rate it has been shown by research to improve soil structure. There is also evidence that the microorganisms which also remain after the digestion process which get transferred into the soil can increase the levels of beneficial bacteria in soils. This is only beneficial when the digestate is added to soils in which the healthy microorganims have become depleted due to what many people consider to be intensive farming and chemical usage. It can also be perform a function to protect soils against erosion. The added organic material in digestate will break down further, aerobically in the soil, releasing additional nutrients. Methanogenic digestate provides nutrients for plant growth. a cattle litter for stock held indoors. Mixed waste digestate was used in growth trials and was shown to promote healthy growth results for crops, with a surprising potential for improving crop disease resistance. In fact, when applied to plant leaves it has been shown to inhibit some plant diseases, in a mechanism which appears to induce resistance. Soil-borne diseases can also be reduced, and a general stimulation of biological activity in the soil, has been reported as an indirect effect of optimum digeste application. So, anaerobic digestion is nowadays seen as a method to treat the organic wastes and provide a useful fertiliser which is the digestate, and in the UK moves are underway to ensure that it can be sold as a product after producers follow applicable “end-of-waste” protocols. The above were shown to be reflected in increased crop yield and reduced watering requirements/improved resilience to drought. Its main advantage is that it has a high nutrient content. Its quality should be acceptable for purpose such as soil amendment or landscaping. Agricultural wastes can contain persistent organic contaminants such as pesticide residues or antibiotics. Industrial organic waste, sewage sludge and household waste digestate can contain aromatic, aliphatic and halogenated hydrocarbons, PCBs, PAHs etc. in trace concentrations, but nevertheless at a concentration still capable of being considered hazardous in some circumstances. According to their origin, organic waste can contain hazardous materials (vectors), which can result in new routes of transmission of pathogens and diseases between animals, humans and the environment. The quality control of this type of biomass is therefore essential in relation with the biological treatment. Soils experts like to lump, all but the first listed of these, together and call them PTEs (Potentially Troublesome Elements). The possible presence of the above impurities in the digestate, and more obviously the presence of visible small pieces of waste materials (eg glass and plastics) can cause a negative public perception of the AD technology. Digestate users must take care to preserve wholesome appearance of the soils where digestate is applied. Aesthetic damage to the environment must be avoided, and unfortunately these considerations will tend to increase the operational costs for digestate use. cellulosic materials (wood, paper etc.). Once again, the physical contamination of the digestate inevitably depends upon the nature of the feedstock (wastes), the nature, the pre-treatments applied and the biological treatment (digestion) itself. This brings us back to the issue of the manner in which the material is collected. For the digestion of MSW, source segregation is more efficient than mixed collection, because mechanical pre-treatments are not as effective in removing contaminants as pre-sorting of waste types by householders which provides the best elimination of potential contaminants at source. In the case of digesters at pig farms, or digesting pig farm manure, copper is at times added to the food used in the piggery to accelerate growth by increasing food conversion rates. Zinc is added for the same purpose and to counteract the toxicity caused by high copper concentration. These heavy metals will be found in the pig slurry, thus it is important to monitor their levels in the digestate, because reduction of heavy metals after digestion is not feasible, and therefore limits have to be applied and respected in each country. (See http://www.epa.ie/pubs/advice/brefs/intensive%20agriculture.pdf and Table 39 – Heavy Metal Concentrations in Slurry and DRy Manure. ). The European commission have suggested limit values for metals composts and digestates in the Working Document on Biological Treatment of Biodegradable Waste (See the Working document: biological treatment of biodegradable waste (second draft), European commission, 2001. Subsequently, limits for the UK have been set for PAS100 composts, and within PAS115 for AD. 16 Responses to What is Digestate? Guys. There is some good info here, but this page is beginning to show its age. It fails to mention the part biogas can take in decarbonising transport. I have been dealing with a lot of issues before I can devote time to upgrading our AD system. The next step for us is to improve how we optimise our digestate use as a resource. Hey guys. Nice website. Nice page. 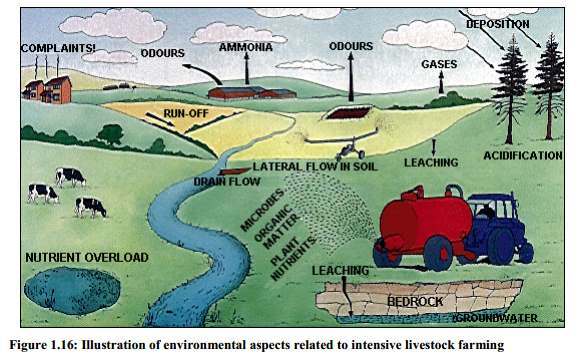 What is the difference between so called “digestate”, substrate (which seems to be a much used term in Europe) and where do the terms “feedstock” and “feed” fit in here. I am thinking “feedstock” and “feed” are interchangeable terms, but would some confirm the jargon please. You say “No specific research on the benefits of AD digestate has yet been published (written 2009)”. I ask the question what has been published since. It seems very unlikely that nothing has been done on this subject since 2009. Which is the best digestate? Is to use the wet liquid or the solid part? I think there is a problem with the solid, because that part of the digestate when I have seen it, looks very bad as I can see bits of glass, and plastics pieces plus bits of plastic film in it. Plastic is a bad thing for the environment, especially animals who may eat it. Please explain. What are the N-P-K that you mention? We have Ad and are in the food industry. We are looking to make better use of our digestate. Good day! I was sure I’ve been to this website previously, but after going through a few of the posts I realized it’s new to me, or has been very much updated. I want to know the difference when people talk of digester “substrate” and “digestate”. Would you be able to let me know what the standards might be for pasteurization of meats, fish and other animal food waste (not animal manure) prior to having them go through an anaerobic fermentation compost process? It is my understanding that heating, cooking it long enough through some form of pasteurization eliminates potential problems of introducing “bad” bacteria into the soil. I would like to be able to address the proper way of eliminating potential pathogens that might enter the agricultural farm fields, municipal green belts and/or private hotel/golf course landscapes. Any assistance in this direction with regard to government standards in your neck of the woods would help me to better understand the process so that I do not cause any harm to the public, if and when I set up business operations. Perhaps, you know of researchers, academics or any other persons who might be interested in helping someone here across the world in Colorado, USA. I am exploring the possibility of setting up my first food waste anaerobic composting site and want to be sure that I can proactively address and exceed the standards of the Department of Health. If this is an area that you or someone you know might be familiar with, then any assistance would be very much appreciated. In Europe the regulations, and technical guidance regarding pasteurisation at anaerobic digestion plants are called the “Animal By-products Regulations”. There is plenty of information, for example on the UK’s Environment Agency website regarding these regulations, with temperatures and holding times at these temperatures. I did a quick search for US standards, and found none. That seems to be quite a remarkable omission on the behalf of the US authorities, as I do agree that ensuring that no pathogens could be passed on through the sale, and application, of the digestate, is vitally important. I am sure that if you were to talk to any one of many AD Plant contractors who are based in Europe, but which have US companies as well. they will be able to provide you with quotations for installing suitable pasteurisation equipment. I removed your email address because I fear that if it was shown here you would receive a large volume of spam emails, but I will reinstate it if requested. Is anyone applying non PAS digestate to woodland to get rid, or for the benefit of the nutrient to tree growth? Nice blog by the way. What is the feedstock that makes the best digestate? Please answer. I don’t think that enough research has been done for anyone to be able to give you an answer to that question. Research is being done by WRAP in the UK. Take a look here, and see if their research helps you.